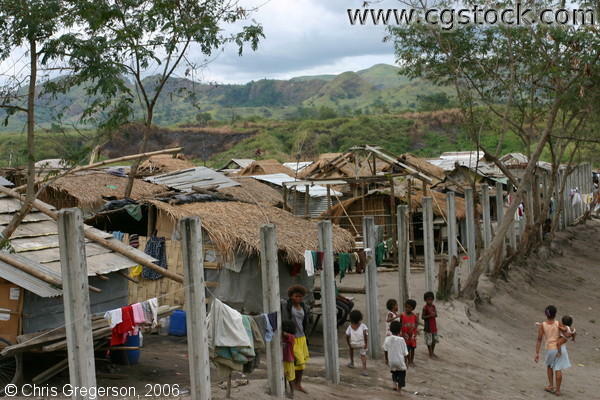 Shown here is the Aeta village with several “bahay kubo,” made by tying nipa or bamboo together to create a very simple structure that will make for a cheap and easy to transport dwelling place. The residents are mostly Aetas, a tribal group in the Philippines who have been victims of the explosion of Mt. Pinatubo in June 1991. Most of the houses have laundry hanging to dry.